What do you think a brand is? Your logo? Your name? Your reputation? Maybe it’s none of these things – or all of them. Join us to learn what really belongs in a brand to make it complete and have it work for you- overtime! Most people don’t realize their marketing problems are really branding problems. Whether it has to do with your messaging, your look, your target market, or your customer expectations, it all comes back to branding. When you have a strong and consistent brand, you can connect with the right people and build relationships. People instantly understand who you are and what you’re about, and you don’t waste time talking to the wrong people. The difference between Branding and Marketing once and for all! 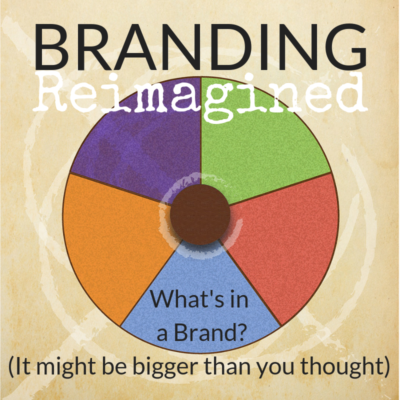 The 5 parts of the Branding Pie, why each part is critical, and how they work together. Why it’s impossible for anyone else to have the same brand as you. The Magic Rule of Story and how it applies to your Brand. Two FREE Classes- sign up soon because class size is limited!